My Way Access Dermot Devlin will be one of the guest speakers at this conference. 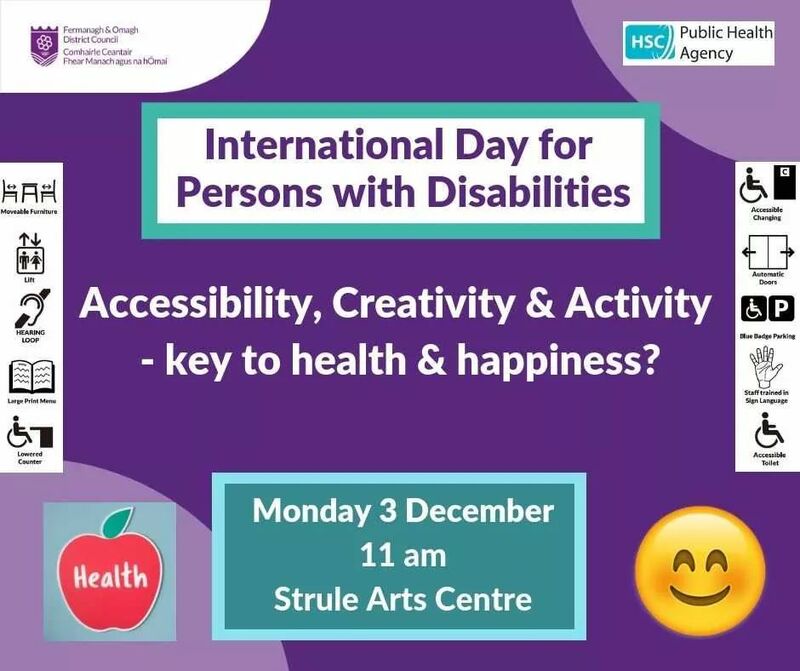 The Conference is taking place on Monday 3 December 2018, 11 am at the Strule Arts Centre, Omagh. There will be a number of presentations from local people, as well as information stands displaying advice from support organisations. The event will finish with hot food at 1 pm. To book spaces for the event please contact Fermanagh & Omagh District Council on 0300 303 1777 or email disability@fermanaghomagh.com.